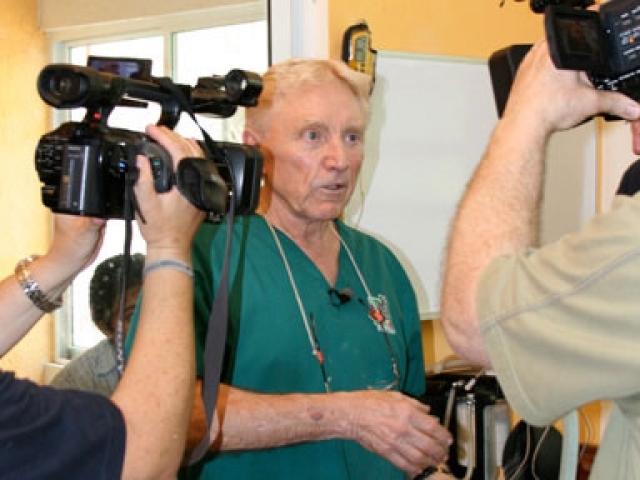 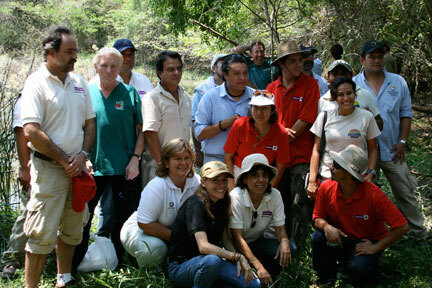 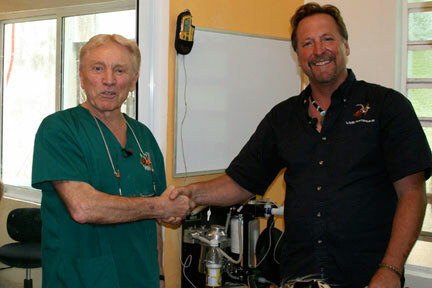 Dr. Emily and PEIVDF were invited to work with a distinguished group of doctors and scientists from the US and Mexico on a project for the release and study of jaguars in May of 2009. 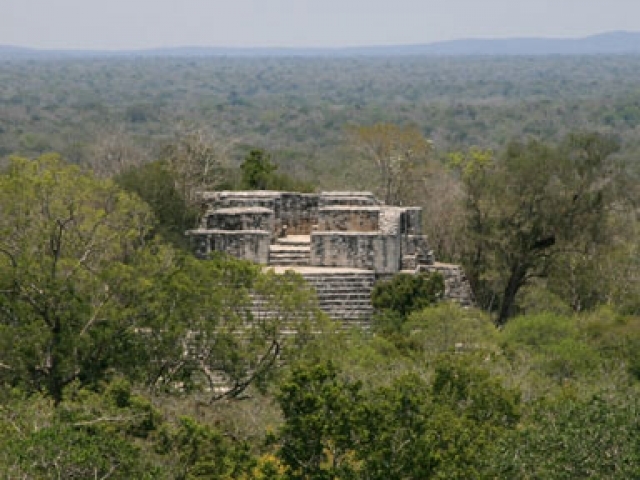 PEIVDF travelled to Chetumal Mexico where Dr. Emily, Dr. Ole Alcumbrac, and Dr. Ivonne Cassaigne worked on two female jaguars scheduled for release into the Calakmul Biosphere Reserve, located on the Yucatan Penninsula. 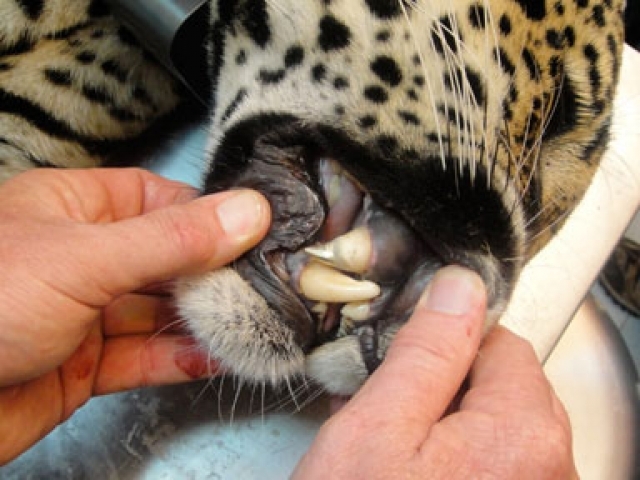 In order to survive in the wild, jaguars require full canine function. 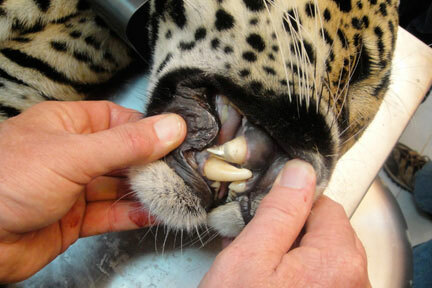 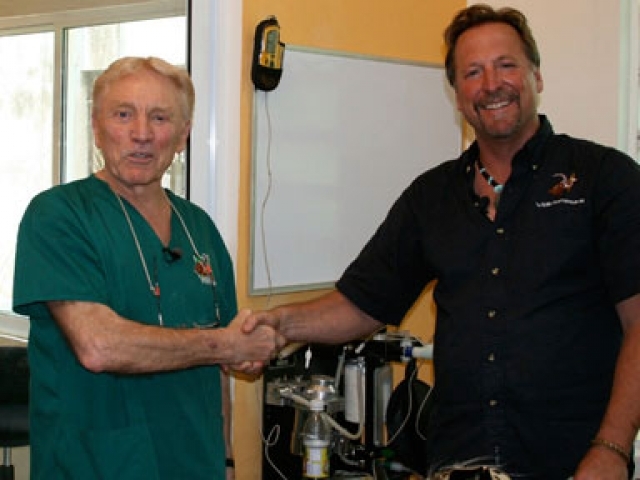 When JAGS project members found their two subjects had broken canines, Dr. Emily and PEIVDF were called in to help. 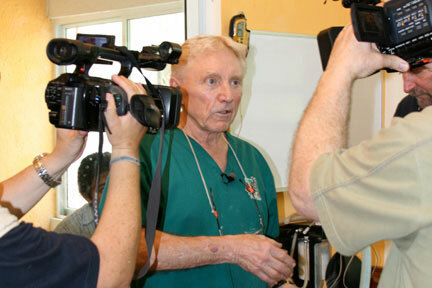 Dr. Emily quickly repaired the broken canine of the first female. 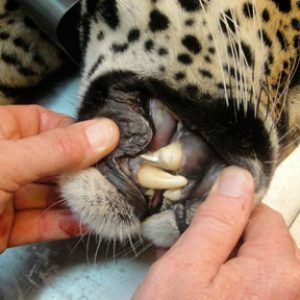 For the second female, Dr. Emily needed to fashion a crown in Colorado from pictures emailed, as upon review of the photos, Dr. Emily determined that the length of the broken canine, with a standard root canal, would have been too short to allow the jaguar to survive in the wild. 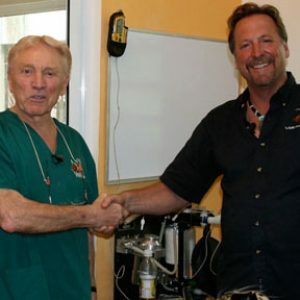 After performing the root canal and preparing the tooth for the crown, the remote-molded crown fit as if it were custom made from an impression, allowing for perfect occlusion. 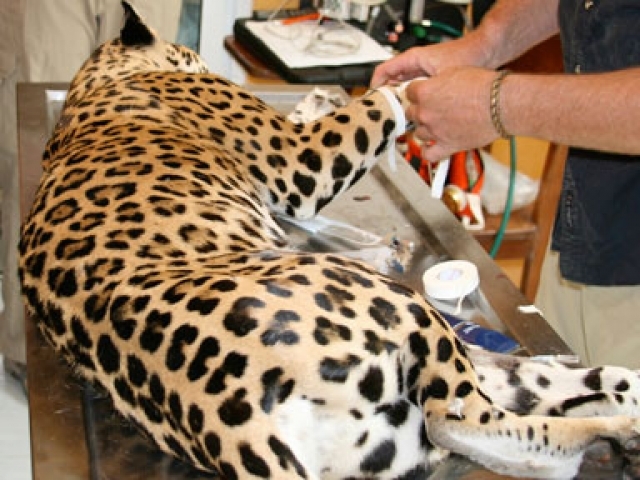 The crown was secured and the jaguars were left to recover overnight before the 4 am scheduled departure for the release site. 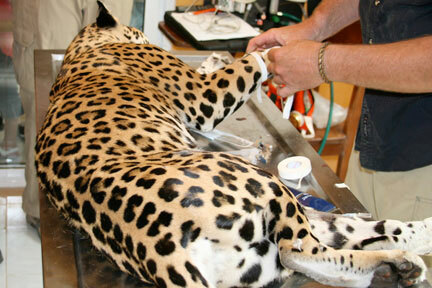 Overnight drama ensued when one of the jaguars chewed through her box and escaped into the recovery room. 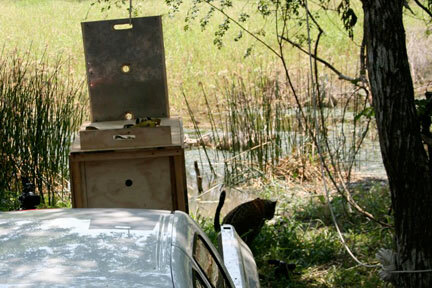 Chetumal Zoo handlers tranquelized the animal with a dart and placed her in a second box to recover. 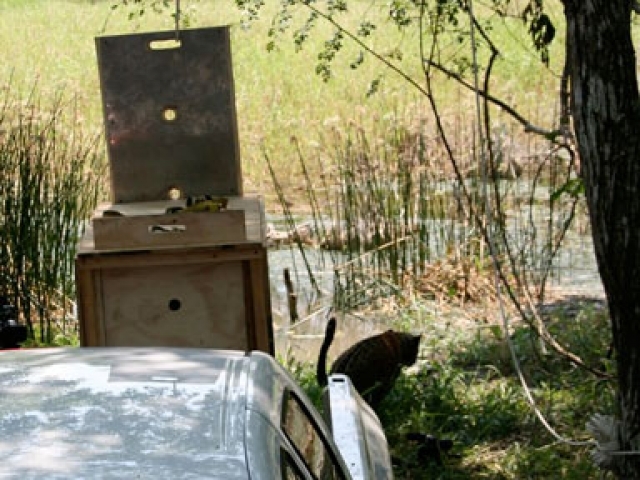 The females were released separately into the 1.7 million acre preserve, fitted with technologically advanced GPS collars that will allow biologists to track, via a website, the jaguars’ movements over time and study the roaming and hunting habits of these animals. 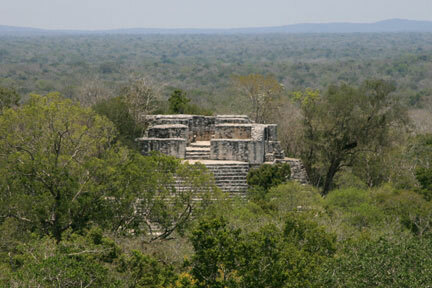 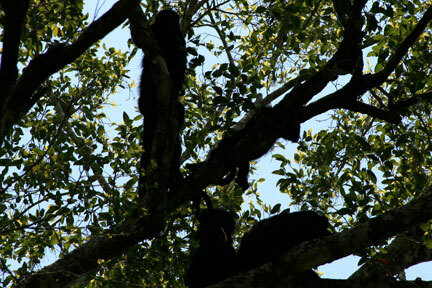 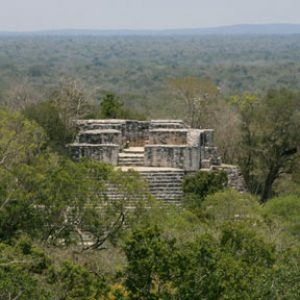 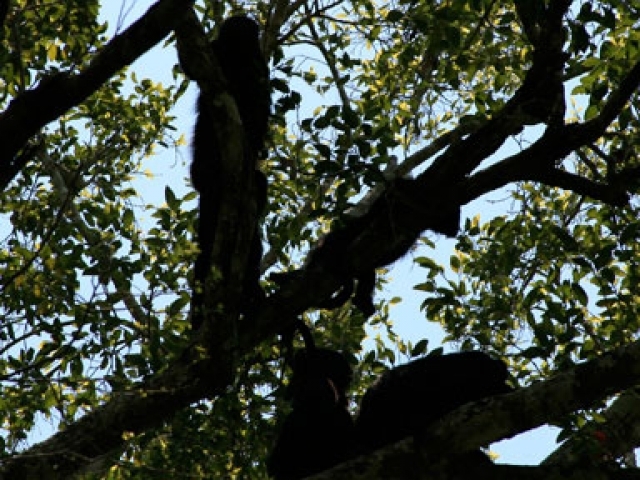 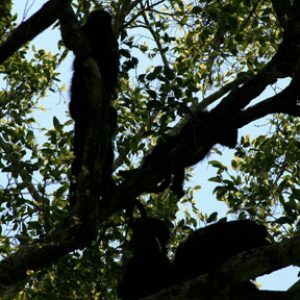 After the release, the group visited the remarkable Calakmul Mayan ruin site where they were “serenaded” by a group of howler monkeys. 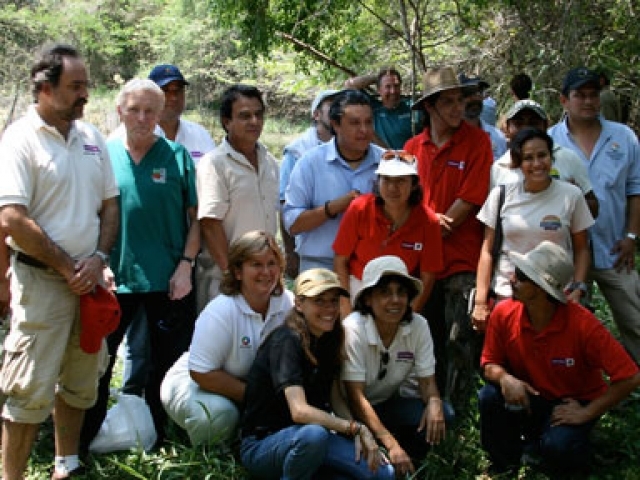 Among so many dedicated people involved, the JAGS group included: Dr. Peter Emily (PEIVDF), Dr. Ole Alcumbrac (Wildlife Health Services-Director), Dr. Ivonne Cassaigne (WHS-Mexico Director), Warren Ballard, PhD (Texas Tech-Chief Scientific Investigator), Anthony Giordano (Texas Tech), Emil McCain (Project Ecologist), Ron Thompson (Wildlife Biologist), Jim deVos (WHS-Wildlife Biologist), Thorny Smith (Wildlife Biologist), Lou Colombo (pilot), Larry Bailey (co-pilot), Frank Bokoski (videographer-1615.tv), Susanne Pilla (PEIVDF), and members of the Mexican government department of wildlife (Fauna Silvestre), CONANP, PROFEPA and many other agencies. 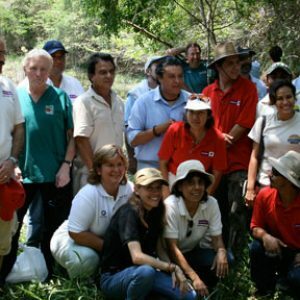 This project was a model of international cooperation and PEIVDF hopes that we will be able to continue working with the Mexican government in the preservation of their remarkable wildlife.